Technical Car Experts Answers everything you need: high rpm in neutral? Inconsistant high RPM in neutral? high rpm in neutral? Inconsistant high RPM in neutral? You could have a problem with the throttle cable.Inspect the cable that connects the foot pedal with the throttle body to make it go "zoom, zoom". Its also possible that the inside of the throttle body is gummed up with dirt, dust, varnish and soot. Clean the throttle body with throttle body cleaner liquid available at local auto parts store.Take off the air intake hose, and spray everything inside there until it is clean and shiny. Be aware you may have trouble starting it the first time after cleaning.But once it starts and runs properly,then for second time it will run smooth like before. But if that is not helping,then problem is faulty TPS.Throttle position sensor located in throttle body. Also there is IAC idle air control valve motor on throttle body.If it gets dirty,the same problem will be noticed.Try cleaning the idle valve first and see,if that is not helping,then it has to be replaced. Other possibility is vacuum leak. To access the vacuum leak method by professional mechanics is use starting fluid. Simply spray around the engine with it running ( not on the exhaust ) and listen for a change in engine noise. Once You have found the area, turn the engine off and check for cracked vacuum hoses or leaky gaskets. 1996 Camry intermittent engine failure while idle? 1999 Ford F-150 Idles rough and quits when gas pedal is pressed less? Ford runs lean and idles rough? Car dies when gas pedal is pressed? Low idle when cold out side? 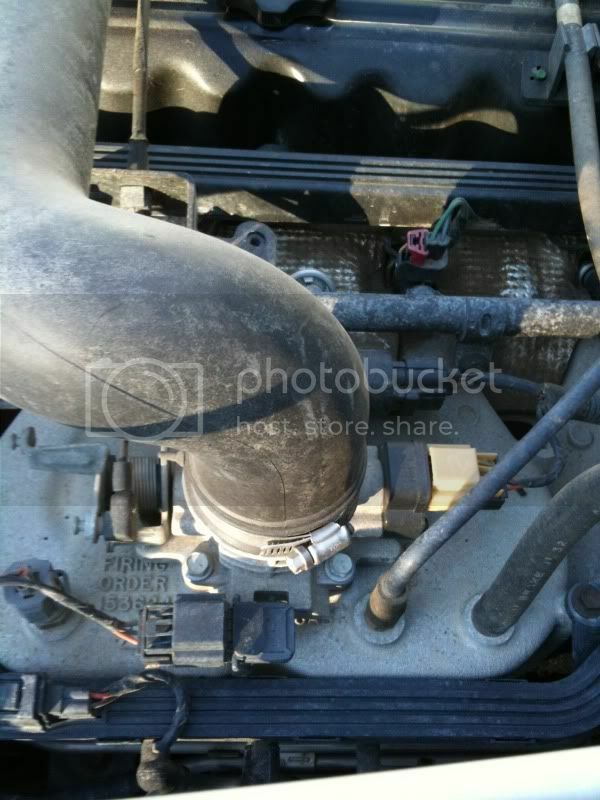 GMC Idle Air Control (IAC) Valve Replacing? Idle flair is noticed on car? Rough idle? car will not idle? Erratic idle speed?